Dental sealants are plastic coatings painted onto the surface of molars (back teeth) to prevent cavities. Your dentist will recommend them for children’s baby teeth, but many parents don’t understand why they should pay to protect baby teeth that are destined to fall out. Jut because your little one doesn’t have their adult teeth yet, doesn’t mean that their baby teeth don’t play a big role in preparing for them. Baby teeth help to create a stable, healthy foundation for permanent teeth to grown into—so it’s important to care for them accordingly! Baby teeth play a critical part in developing good speech and nutrition habits. Adversely, untreated baby teeth can affect adult teeth and your child’s future oral health. Considering how important baby teeth are to a functioning adult smile, we recommend dental sealants are placed on your little one’s back teeth by the time they turn 6 years old. As mentioned above, dental sealants are applied as a liquid that’s painted directly onto the surface of the molars in the back of the smile. Once they’ve dried under a special UV light, the intricate cervices of teeth are protected from the lingering debris in the mouth like foods, acids, and dental bacteria. If you’re nervous about your little one getting dental sealants, you should know that it’s a quick, painless treatment that can has a real positive impact on children’s dental health! Dental sealants work best in children when combined with great oral hygiene habits, including visiting your children’s dentist in Lancaster. Help your little one enjoys a healthy, strong smile for years to come by stressing the importance of good oral hygiene. They will need your guidance while they are young, but eventually, they will get a hold of it as they get older! Brush teeth twice a day for at least two minutes a day. Visiting the dentist every 6 months. Explore fluoride treatments with your dentist. The best way to give your child the life they deserve is to optimize their health, starting with their teeth! Partner with your local dentist to get the dental care that your little one needs. 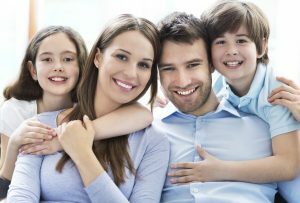 Here at Lancaster Smiles, we want to help everyone’s family experience great smiles that will last a lifetime, starting with the little ones in your family. Let us care for their baby teeth so that they can have a smile they’re proud to show off as they get older! Contact us today.